You’ve probably heard of Coping Skills, the specific activities that you engage in to cope with stress and difficult emotions. Something lesser known in mainstream psychology is what are called Coping Styles. Coping styles describe the ways in which people prefer to cope with stress. They are the broader categories that coping skills fall under. Based on the coping styles that you identify most with, you will likely benefit more from specific coping skills over others, therefore coping styles are important to be aware of in order to know which coping skills may work best for you. Knowing your coping styles can also help to avoid negative patterns of dealing with stress. Just like there are positive and negative coping skills, there are also positive and negative coping styles. Examining these styles and identifying which ones you identify most with (both positive and negative) can help you to break bad patterns in your life and also help you to deal more effectively with emotional stress. I believe that it’s always better and easier to replace negative behaviors with positive ones rather than just trying to stop negative behaviors. Stopping a negative coping behavior leaves somewhat of a void, as there is still some kind of stressor that needs to be dealt with (i.e. what was causing you to use a negative coping skill to begin with). Think of the urge to engage in a negative coping skill as your mind telling you that there is something that you need to cope with in a healthier way. When you feel the urge to use a negative coping skill, ask yourself what it is that is making you stressed and anxious, and then find a positive coping skill to replace the negative one with. Understanding coping styles will help to identify which negative styles you tend to engage in most, and also which positive styles you gravitate toward that you can replace negative behaviors with. Denial: Avoidance of the issue altogether may lead to denying that a problem even exists. Denial is usually maintained by distractions such as excessive alcohol consumption, overworking, or sleeping more than usual. Self-blame: Internalizing the issue, and blaming oneself (beyond just taking responsibility for one's actions), leads to low self-esteem and sometimes depression. Venting: An externalizing coping technique, venting is the outward expression of emotions that results in release but no actual change. In moderation it can be healthy, however ruminating on the negative can lead to feelings of helplessness as well as strained relationships over time. Surrender: Giving in to our negative thoughts and behaviors and repeating them over and over. Avoidance: Finding ways to escape or block out our problems, such as social withdrawal and isolation. Overcompensation: Doing the opposite of what our internal problems makes us feel. Aggression, hostility, manipulation, recognition-seeking, and excessive orderliness can all be signs of overcompensating. . Humor: Pointing out the amusing aspects of the problem at hand. Seeking support: Asking for help or finding emotional support from family members or friends can be an effective way of maintaining emotional health during a stressful period. Problem-solving: Locate the source of the problem and develop solutions. Replacing the negative coping styles Surrender and Avoidance with Problem-Solving can be a good strategy, as focusing on solutions can help overcome feelings of helplessness and hopelessness. 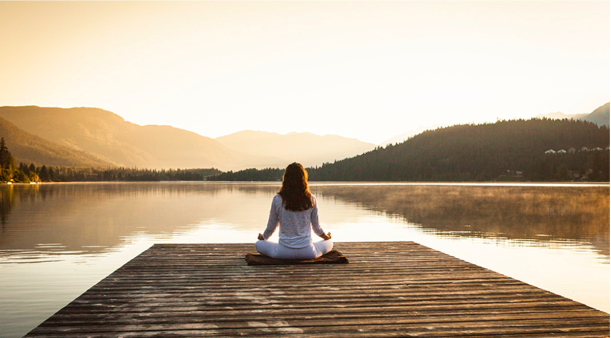 Relaxation: Engaging in relaxing activities or practicing calming techniques can help to manage stress and improve overall coping. Physical recreation: Regular exercise, such as running or team sports, is a good way to reduce stress in a given situation or overall. This can also include yoga, meditating, progressive muscle relaxation, and other active relaxation techniques. Adjusting expectations: Anticipating various outcomes to scenarios in life helps prepare us for the stress associated with a major change or event. Now that you have a better understanding of coping styles, you can start to work on replacing your negative coping skills with positive ones. Be mindful of the fact that the urge to engage in a negative behavior is usually a sign that your mind is trying cope with something. Stopping the negative is good, but replacing it with something positive will lead to better emotional health and stress management. This website and blog are devoted to helping people develop the skills necessary to meet their needs and realize their true potential. An important part of meeting one's needs sometimes includes effectively expressing those needs to others. Humans are a social animal, and good communication is important for healthy relationships as well as realizing one's own personal potential. The focus of this article will be on skills that promote assertive communication. Assertiveness sometimes gets a bad rap, as people often confuse assertiveness with other, more undesirable forms of communication. It's important to remember that effective assertiveness should not come off as hostile or aggressive. It is also important, however, not to appear too passive and to ensure that your points are coming across in a strong and effective manner. There’s a delicate balance involved in communicating successfully, and the skills discussed in this article will help to develop more effective communication. 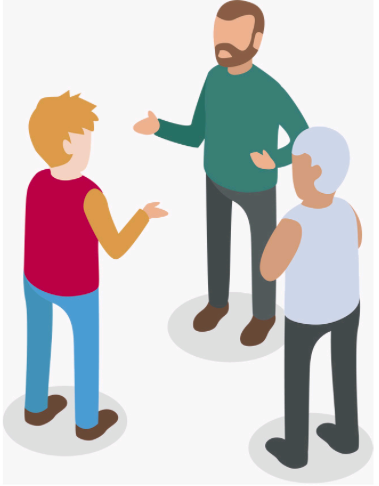 Before discussing specific assertiveness skills, it’s important to first discuss the different styles of communicating. 1. Aggressive: Demanding, hostile, bossy, threatening. Aggressive communication rarely ends in someone’s needs being heard or met by others. 2. Timid: Passive, submissive, quiet. This style is also ineffective in helping someone express and meet their needs properly. 3. Assertive: Calm, rational, firm, collaborative. Ability to express needs and make points without escalating into aggression or withdrawing into timid communication. Most effective style of communication. The balance between aggressiveness and timidness can be found in assertive communication skills. Asserting yourself means expressing your needs to others in a way that is straight forward but also understanding of the other person’s needs and desires. The following tips can help improve assertive communication. 1. Don’t expect others to respond well to you at first. There is no 100% guaranteed way of assuring that other people will always respond well to what you have to say. Some people are naturally defensive and aggressive in their communication style, and they will automatically view your attempts to assert your own needs as a threat despite what may be the best intentions on your part. What’s important to remember in these situations is not to take the bait. Staying calm and continuing to focus on assertiveness skills is the best approach to overcome barriers in communication. 2. Use “I” statements instead of “you” statements. Pay attention to your language. Sentences that start with the word “you” tend to sound more demanding and aggressive (i.e. “you need to help me with this”), where sentences that start with “I” express your feelings and ask for help (i.e. “I could really use your help with this”). 3. Ask questions rather than make demands. Making demands sounds threatening and hostile, which doesn’t help anyone stay in a productive conversation. A way to fix this problem is to use questions to ask for what you want rather than make statements which come off as demands or orders. Questions prompt a person to give a specific answer, rather than come back with an argument. When you find yourself dealing with someone who just doesn’t want to listen, or who wants to goad you into an argument, there is always the broken record technique. This means that you stick to your point despite any attempts from the other person to steer the conversation in another direction. This tends to work best when someone is asking you to do something that you are not comfortable with, but they keep insisting or trying to guilt you. Never underestimate the power of silence. Silence can be an uncomfortable tool to try to use in a conversation, but also a surprisingly effective one at times. Sometimes, if your attempts to be assertive are not being received well and you see the conversation going off the rails, the best thing to say can be nothing at all. It’s probably one of the assertiveness tools you’ll revert to the least, but it’s a good one to have in your back pocket when you see that a conversation isn’t going in a good direction. 6. See their point, and then add to it. People are more likely to listen to you if they perceive you as being on their side. Find something in the conversation that you both agree on, and add something to it that focuses on your needs and the point you are trying to get across. Avoid “yeah, but.” This will only cause arguments to get worse, because they discount what the person was saying rather than validate it. If you plan to assert yourself about a particular need to someone, write down the points you want to make and how you’d like to make them. This makes it easier for you to know what you want to say and also helps you stay on track and avoid veering off into unproductive communication. Though preparation is good, avoid the temptation to over-prepare. Don’t sit down and write a script of how you’d like the conversation to go and then expect to stick to that script. You can’t always predict how someone will react to you, even if you are communicating in the best way possible. What you can do is try to go with the flow and ensure that you are using the best communication skills that you have at your disposal to help everyone, especially you, get their needs met. In this final entry of my Deep Breathing series, I’m going to go into detail on 2 more skills to incorporate into your deep breathing practice, and at the end I will recommend some more advanced techniques to study further for those that are interested. As always, take your time in learning and mastering these new strategies, and make sure your feel comfortable with your basic skills before taking on more challenging techniques. Start with a few minutes of deep breathing using one of the counting exercises from part 2 of this series to help you get into a relaxed state. Repeat the following phrases as you breathe, "I am here; I am calm." "I am here" should be said (again, either mentally or verbally depending on your preference) during the inhale, and "I am calm" during the exhale. Repeat every time you breathe in and out. This is a very popular breathing mantra for increasing relaxation and promoting a better here-and-now focus. This next exercise is an example of how to use deep breathing mantras to help increase motivation. The structure is exactly the same as the previous exercise, but you replace the mantra with "I am strong; I will succeed." This type of mantra could be useful immediately before an important event, such as a competition or exam. Excessive anxiety and nervousness can impede both mental and physical performance, so using such a mantra can help not only alleviate stress in the moment, but increase confidence and motivation to accomplish your goals. You can also use mantra breathing to help change behaviors over longer periods of time. Doing this means developing your own mantras which target specific personal changes you'd like to make, and applying them to your breathing exercises as outlined above. Let's say you want to quit smoking, practice using a mantra such as "I don't want to smoke; I don't need to smoke." It's simple, but it targets the 2 important aspects of giving up such a habit, both the desire to quit and the belief that you can quit. You can use visualization during breathing exercises as another way to improve health, stress and motivation. Visualization involves mentally picturing a desired state or outcome during your breathing exercises. For example, picturing yourself graduating from college to help reduce the anxiety about a big test you have coming up, or visualizing what it would be like to achieve your life goals to improve your motivation to continue working hard. I'm going to share one specific exercise related to visualization, as it's fairly easy to perform and can help to enhance the mental and physical health benefits of deep breathing. Start with the deep breathing exercise of your choice to get you into a relaxed state. Make sure your eyes are closed as you proceed with your visualization. As you inhale, imagine you are breathing in pure health, vitality, and tranquility in the form of a bright healing light. Envision it feeling warm and comforting as it enters your lungs, and try to feel it radiating throughout your body. As you exhale, imagine yourself blowing out a cold black smoke that represents all of your stress, negativity, and physical ailments. Try to feel a little lighter each time you exhale all of the negative things you are trying to purge yourself of. This technique takes practice, but it is very powerful once you learn to use it effectively. You can even use it to target specific ailments; for example, if you have pain in a certain area of your body, imagine inhaling the healing light and directing it to soothe your pain, and as you exhale the black smoke imagine it as being the pain and/or sickness leaving your body. There are other techniques that I wanted to mention related to deep breathing that would be too involved to outline in this series of articles. If you enjoy deep breathing exercises and want to learn more, I'd encourage you to look into some of the following practices. 7 cups has excellent resources on many of these skills for it’s members. All of these advanced strategies require you to have a firm understanding of deep breathing and breath control, so make sure you practice and master some of the skills I’ve reviewed before moving on. - Progressive Muscle Relaxation (PMR): Practice of systematically tensing and releasing muscles to enhance relaxation and stress reduction. - Guided imagery: Using visualization scripts or recordings to envision relaxing or motivational scenarios (a way to take the visualization skills from this article to the next level). In a study of participants who suffered a severe injury, 54 percent stated having higher than average scores of depression, anxiety, and stress. Principally, if the damage affects a person’s job or favorite hobbies, they can experience overwhelming feelings of sadness, anger, sleep disruption, isolation, and even emotional changes in appetite. As all of these issues can affect not only your life but also the lives of your loved ones, it is crucial to address the stress you may be experiencing after an injury. An injury that affects your life can come in an infinite variety of forms. While some may think an injury must be brutal to induce stress, this idea is flawed. Massive wounds such as severe burns, amputations, and accidents will change a person’s lifestyle. However, even smaller injuries can cause stress if they compromise your job or were inflicted in disturbing ways. Something as minor as a broken finger could result in post-traumatic stress disorder if it damaged on-purpose, such as in domestic violence. Anxiety can increase substantially after an injury. Naturally, experiencing the pain and the after-effects of the event will often result in the trauma being replayed over and over in a person’s mind. Fear of something similar happening again can also spike anxiety levels. Moreover, the results of chronic anxiety are harmful to the body. Not only can it be isolating and increase cortisol levels, but a study by Harvard Health found that people with highest ranks of phobic anxiety were 59 percent more likely to suffer a heart attack than those without high tension. While every person’s path to healing and coping with stress will be different, there exist numerous ways you can minimize stress. In the first weeks after the event, avoid exposing yourself to things related to the trauma until you can slowly expose yourself to the trigger with a trained therapist. Avoid looking at disturbing images or videos in general. It can be tempting to drink but avoid excessive alcohol use as it is a depressant and can invoke anger in several individuals. Don’t hide out, but instead, seek help from a counselor as soon as possible. If you watch the news, it might be a good idea to take a break from it. News too often focuses on negative stories and upsetting world events, and your mind needs to focus on hope and healing. If exercise was approved by your doctor, get some physical activity. Exercise releases endorphins and chemicals that ease stress and anxiety. If your legs are injured, try upper-body-only workouts, or vice versa. Finding a counselor is not only a smart move, but the shame some people feel about it is a stigma from the past. Taking care of your mental health and stress levels is now known to be vital more than ever before. Search for someone to talk to in your area and stop living with unneeded anxiety, anger, and isolation. In part one of this series, I discussed the basics of deep breathing and reviewed abdominal breathing, the foundation of all other deep breathing exercises. If you haven’t read Deep Breathing for Mental and Physical Self-Improvement (Part 1), I’d suggest you do so before continuing. Once you've got a firm grasp on abdominal breathing, you can move on to other techniques to enhance the health benefits of deep breathing. Many breathing techniques revolve around some type of counting system to get you started. When your goal is relaxation, stress reduction, and better overall health, you generally want to focus on slowing down the pace of your breathing to start. Here's a really simple exercise to start with. Get into position and start doing your abdominal breathing. Once you get into a good rhythm, start counting how many seconds it takes to inhale and then exhale. See if you can figure out an average for your normal breathing pace, let's say for example its 4 seconds to inhale and 4 seconds to exhale. All you do now is focus on increasing the number of seconds it takes to breathe in and then out. Don't rush yourself, start by aiming for 5 seconds in and 5 seconds out. Once you're able to maintain this pace for 5-10 minutes at a time, try 6 seconds in and six seconds out. Spread out the increases as much as you feel comfortable with. You can choose to increase by 1 second every day, every week, or even every month depending on your physical ability and comfort level. You might progress quickly or slowly, everyone is different. Another simple counting exercise is to count the number of breaths you take in a minute. For this, you'll probably need some type of alarm or timer to make sure you are accurately counting in 1 minute increments. Just like the last exercise, you want to start by establishing your baseline. Start your abdominal breathing, and then set your timer to go off in 1 minute. Simply sit and count the number of breaths you take in a minute (1 breath = 1 inhale and 1 exhale). Let's say you start with 10 breaths per minute, you want to then focus on decreasing the number of breaths you take to 9 per minute. Just like with the last exercise, take your time. Decrease the number of breaths you take per minute at a pace you are comfortable with. The final basic counting method I'll discuss is what's called tactical breathing. Tactical breathing is a breathing technique primarily used by people in high stress careers such as law enforcement, the military, and emergency services. They use this technique because it helps reduce stress in moments of extremely high tension. Though an adrenaline response is a good thing for a policeman, soldier, or firefighter to have in a moment of crisis, it also has to be controlled in order for them to make the right decisions and act accordingly. Tactical breathing can also be an effective exercise for anyone looking to have a technique to use in moments of extreme stress or panic in their own lives. The main difference between tactical breathing and the other breathing exercises I have reviewed is it includes holding your breath. 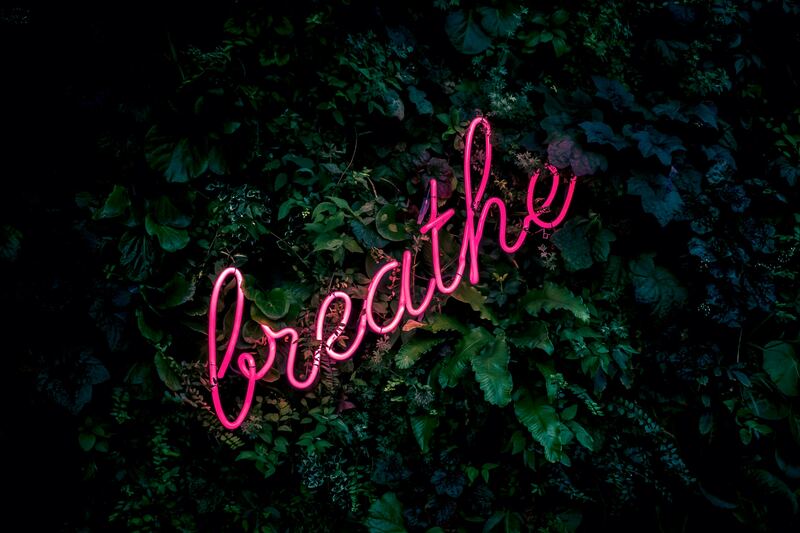 Deep breathing typically involves a steady flow between inhales and exhales, but tactical breathing includes breath holds between every inhale and every exhale. Here's how it goes: Take a deep breath in for a count of 4 seconds, hold your breath for 4 seconds, exhale for a count of 4 seconds, hold your breath for another 4 seconds, and then repeat. I'd recommend starting with some of the other breathing exercises I mentioned in order to improve your lung capacity before trying this. If you can't do counts of 4, start where you are comfortable and work your way up. Though the official method uses 4 second counts, there is nothing saying you can't try to increase the counts over time, just be careful that when doing the breath holds you don't start to feel dizzy, light headed, or panicked. If done right and mastered over time, this practice can help slow your heart rate and decrease anxiety in moments of high stress. In part 3, the final part of this series, I’ll be discussing 2 more advanced breathing techniques to add to your arsenal. Until then, keep practicing your abdominal breathing and work on adding counting techniques to strengthen your breathing skills.